BLOODHUNTER is an extreme metal band born in Galician lands in 2008 from the hand of sole founding member and main songwriter Fenris (ex-Shroud of Tears, ex-YIDORAH). After several changes in the lineup and concept, Diva Satanica joins the band whose guttural vocal assault helped drift the band into more extreme territories. The current lineup is established in late 2012, with their first work seeing the light in early 2013. 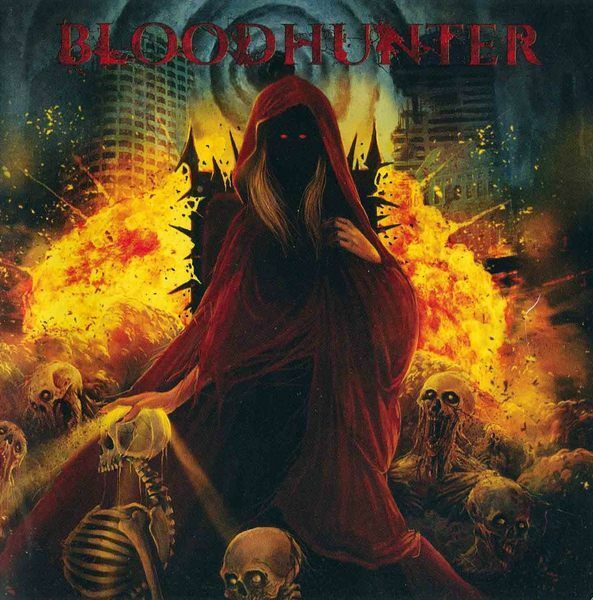 Female-fronted Spanish Death Metallers Bloodhunter, formed in 2008, have been enjoying a fair amount of attention around the globe since their self-titled debut album was released in the spring of 2014. 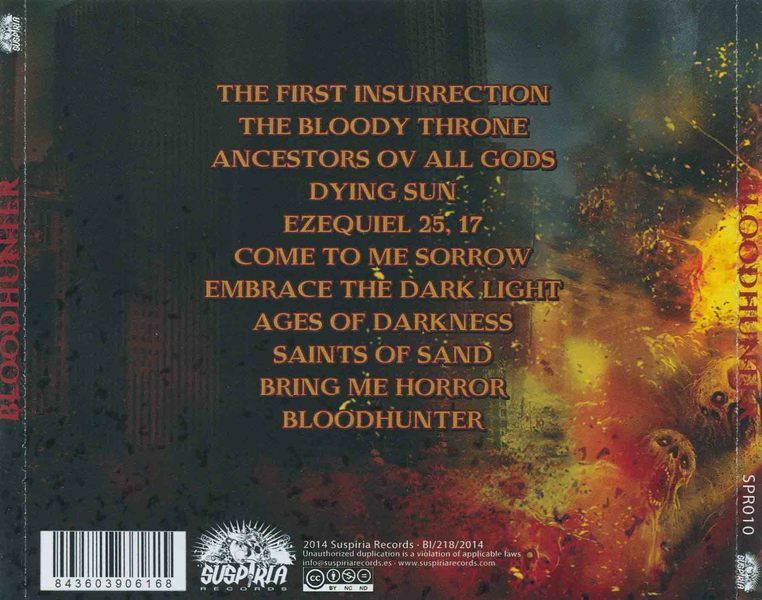 They have gained quite a lot of popularity and success in Spain as well by playing many shows around their home territory, most with good responses.Bloodhunter provides a hard kick in the groin and is both melodic and extreme at the same time and contains a surprising amount of fresh and promising ideas. The band members aren't newbies with their instruments either. The playing is on a professional level, especially guitarist Fenris, who's responsible for the most of Bloodhunter's material. He is quite the wizard with his 6-string when it comes to the soloing on this record. Vocalist Diva Satanica is a perfect fit for the band's severe, technical and beautifully flowing Death/Thrash Metal sound and her shouted, raspy delivery is better than many male vocalists. Bloodhunter relies on fast, up-tempo song arrangements with only a few breaks here and there to supply some diversity in their material.Bloodhunter's debut really isn't your average Metal album and there's more beneath the surface than can be seen at first glance. If you are still wondering whether this is worth tracking down, I say "yes."